SNAP-Shot! 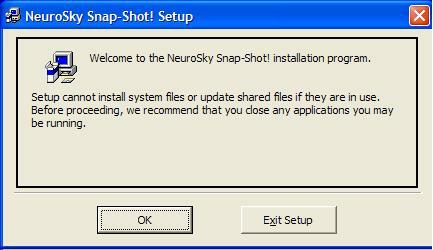 software installation is a relatively simple process. 3. 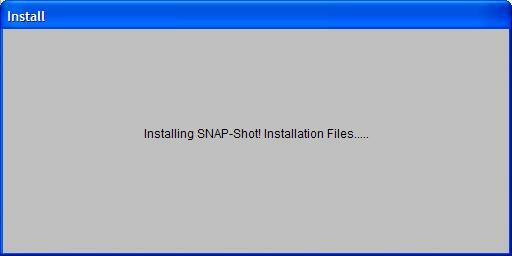 A SnapShot .CAB file containing the actual installation files. Double-clicking the Setup.Exe Icon will begin the installation process. 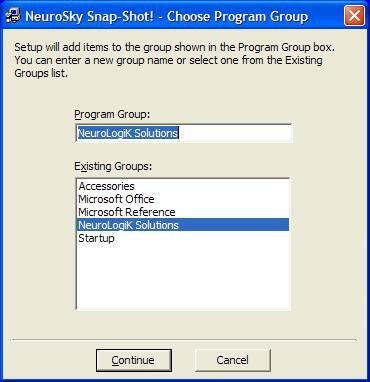 The above screen allows you to install the software icon(s) in any program group of your chosing, although for installation simplicity and ease of use later, it is recommeded that you use the group name of NeuroLogiK Solutions. Simply click on Ignore and the installation will continue to completion. Clicking on OK will end operation of the Setup.Exe program. 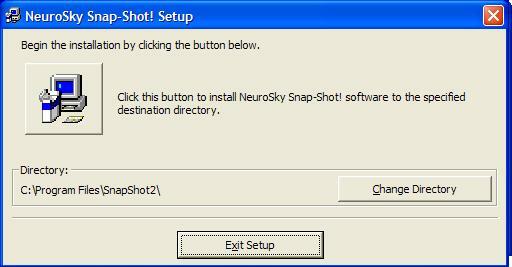 Clicking on the Windows Start Button will show the software to have been installed.